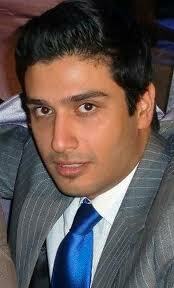 Foad Khanjani (فواد خانجانی), a former student of industrial management at Isfahan University who was expelled because of his Bahai beliefs, is not only arrested and put in prison without any legitimate charges, he is being subjected to physical and verbal violence putting his young life in danger after a serious surgery. The above site states: It is worth noting that his father, Mr. Alaeddin Khanjani, had also been arrested on or about April 27, 2010, and released on bail on 16 March 2010. His sister, Leva Khanjani Mobasher’s two-year prison sentence was upheld by an appeals court in 2011. His grandfather, Jamaloddin Khanjani, one of the seven imprisoned Bahai leaders, is currently serving a 20-year prison term. Fouad Khanjani’s grandfather, Jmalaldyn Khanjani, also is one of the leaders of the Baha’I community who is serving a sentence of 20 years in the Rajai Shahr Prison in Karaj. There are many reasons to believe that the fact that Foad comes from a very prominent, well to do, devoted and staunch Baha’i family in Iran, has got a great deal to do with the enemies of truth and light wishing to extinguish his flame as soon as they can! The Islamic Republic Regime wants to use Foad’s tragic abuse and treatment in prison as a lesson to other Baha’i youth who dare to stand out for their conscience and Faith. All the angels in heavens are weeping at the deplorable condition of how this young and innocent dove of peace is caught in the claws of vultures of ignorance and prejudice. May God Almighty reach out to the cries of Foad and the rest of innocent youths like him. I do not understand God’s patience. Fire Tablet will be my plea and refuge all night. This entry was posted in human rights, News, Questions and tagged Bahaís of Iran, Foad Khanjani abused in prison hospital, Foad Khanjani in critical condition, human rights violations in hosopital. Bookmark the permalink.